Product contains milk, wheat, peanut, almonds, cashews, and pecans. Produced in a facility that also processes egg, soy, and other tree nuts (coconut, walnuts). 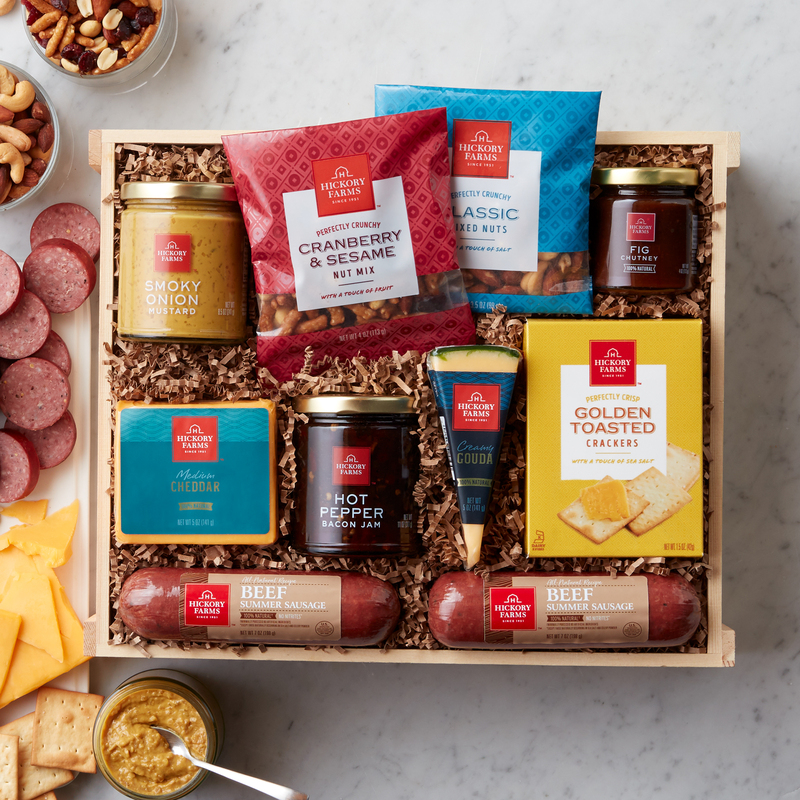 A crate full of perfect pairings makes a perfect gift! 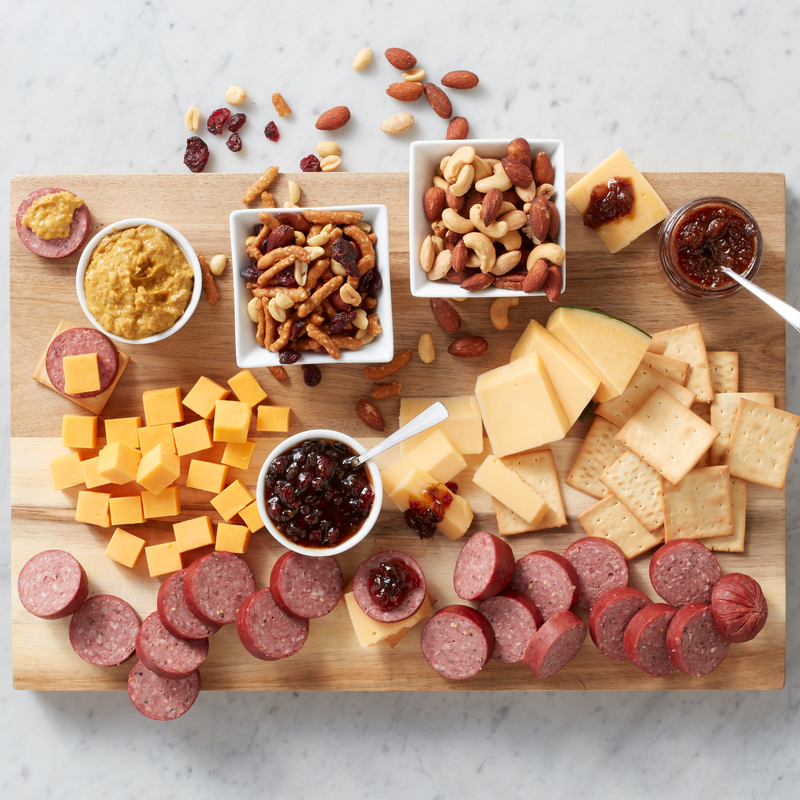 Our All-Natural Beef Summer Sausage has no added hormones, nitrites, or animal by-products. It pairs deliciously with the naturally aged Creamy Gouda and Medium Cheddar, topped with Hot Pepper Bacon Jam with real bacon, Smoky Onion Mustard, or unique Fig Chutney. For a crunchy snack, the Golden Toasted Crackers and nuts make this gift complete.